Shortly before our trip to Carmel, we had a long ultrasound appointment for the nuchal translucency scan. Halia, who we were starting to call "the Eagle" (more about that here), was about 12.5 weeks gestation. 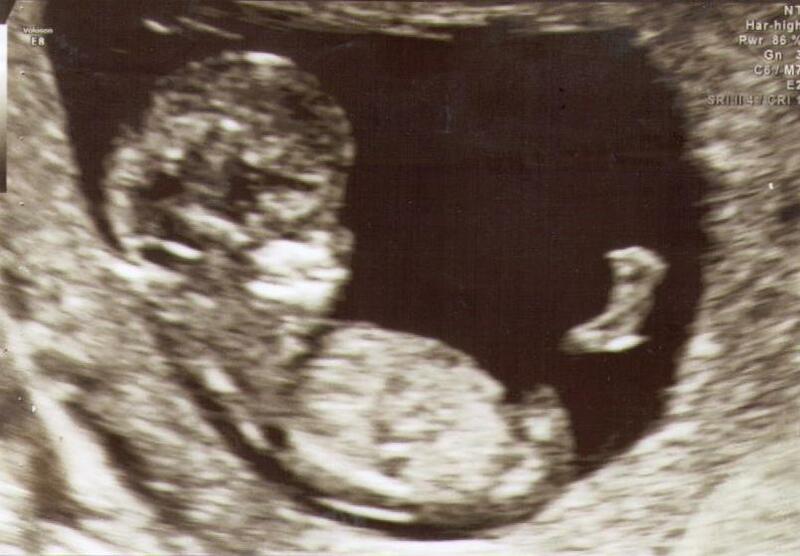 This ultrasound was a total delight, one of the big highlights of the pregnancy. We watched her on screen for at least a half an hour, and when she wasn't resting, she would kick her legs and slosh back and forth on her back in the water. She moved with a grace and ease that was distinctive, (as we learned later when her brother moved quite differently at the same stage), and she seemed to be making the most of her watery environment. It looked like such fun! What's more, we were told that by all available measures, she was healthy and strong. We began to share the news of our pregnancy and to believe we were really having a baby! Just returned from Carmel, from five days of close connection with the Pacific Ocean. So aware of the waves, of the movement of the water, of the vastness of the ocean. Feeling Grandmother closely connected to this new life within. How they both come from the same place, how Grandmother's return to that place connects to the Eagle's emergence from that place, how the ocean grants me a tiny glimpse of that place, how I stand receiving the flow. Grandmother is near, at all the phases of her life. I am a little piece of this great flow. Feeling the femininity. Hoping for a girl. Feeling so plugged in to that continuity, associating it with the feminine to the point where I almost cannot imagine a male in the picture. I know they are there but they are out of my sight. This painting captures my attention today. Something about it prompts me to look more deeply at my collection, opening the box with the ultrasound photos, and digging out an old journal, where I found the above entry, reading it for the first time in three years. I am moved to read what I was experiencing at the time, and I am both sad and grateful that I went on to carry that sense of connection with me into the grief ahead. At first I am not sure what these three pieces have to do with each other, and then I they connect with startling clarity. 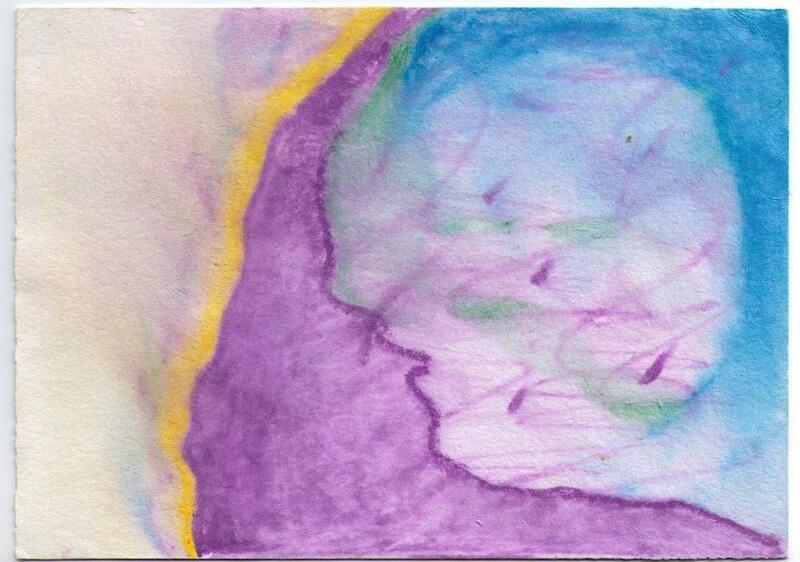 I see in the painting the form of a fetus as well as a sense of watery flow, of vastness, and the barriers between. I see emergence and return.